Our policy is very simple. SAFETY FIRST! Families often ask to visit our puppies; we have been advised by our vets that the general public should not be allowed inside our home and that puppies should not be picked up by new owners until they are at least 11 weeks of age at which time they have had 5 puppy vaccinations. 3 Neo Par vaccines and 2 Van Guard vaccines for a total of 5 vaccines. In order to protect your (reserved) puppy and our own dogs, we enforce this visitor's policy with no exceptions. We love meeting new people however; we do not allow visitors to puppies under the age of 11 weeks, no exceptions. Think of how you would feel for me to call you and tell you that your puppy is sick or has died . Puppies are like newborn babies, until all shots are complete; they are susceptible to many different diseases and illnesses. these viruses and bacteria. Since having my own breeding program, I realize why good, caring breeders do not allow visitation and have a similar policy in place. . All reputable breeders make it a priority to protect their dogs and their puppies. In the best interest of our puppies and adults, we are very careful about preventing the transmission of diseases to them. We take every precaution that we can to make sure that our puppies are not exposed to any kinds of disease that you may carry on your shoes or even on your hands. These diseases can be picked up and carried on your shoes for days, anywhere a dog has been, parks, pet stores, rest stops, parking lots, anywhere. Therefore as a precaution no one is allowed to touch or handle or visit while unvaccinated puppies in our home. Our home is where current litters and future litters live and we do not want anything carried in to the puppies or premises. If you are interested in one of our puppies you have two options. #2. You can wait and see what puppies are available at 11 to 12 weeks of age and pick a puppy then. 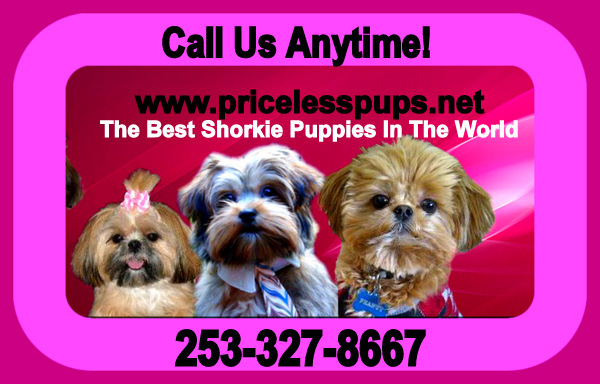 We will not hold any puppy with out a deposit. We do not often have puppies available at this age as most of our puppies have been adopted and have deposits on them by 6 weeks of age. But if we do have any available we are glad to set up a visitation for you. When you reserve a puppy with us, we update our website frequently and all the families can watch their puppies grow! At or just after 11 to 12 weeks of age, you may take them home with you. Also we do not allow any other dogs or animals around our dogs/puppies. PLEASE leave your other animals at home when you come to pick up. Parvo- (parvovirus), Canine Parvovirus, commonly referred to as parvo, is a very serious and most time deadly viral disease in dogs. The most common form of Parvo is intestinal and most commonly seen today. It causes extreme damage to the lining of the digestive tract. Parvo likes to grow in rapidly dividing cells and the intestinal lining has the biggest concentration of rapidly dividing cells in a puppy's body. The virus attacks and destroys certain portions of the intestinal tract. Even with this form of Parvo, heart muscle damage may also occur. may get this disease if precautions aren't taken. ****Taking precautions should never stop here; you need and should do the same when your puppy is home and until all vaccines are completed. When you come to pick up your puppy please make sure that you do not bring any unwanted germs or viruses with you. We ask that you come directly from home with no stops. We rely on your honesty to protect our dogs and their babies. I wanted to detail my family’s experience with trying to adopt a Shorkie puppy before we found Steffy and her priceless pups. In the past I have always had Shih Tzu dogs and after a year of having only a big dog I wanted another small dog. I found a breeder here in Las Vegas in March 2012 but she did not have any current Shih Tzu puppies but stated she had a “Shorkie” litter of puppies. I went to visit the puppies at her private home. I put a deposit down on a female puppy that would come home at 8 weeks in April. While I was at the home I noticed she had several different types of dogs she was breeding. After the deposit she let me bring my kids one weekend to visit the puppy and noticed several other families there looking at puppies. I looked up some research to familiarize myself with the Shorkie breed and found Steffy’s website. I was very impressed by Steffy’s methods and overall philosophy about puppies. I remember thinking ”I wish I would have found her first” but I already had a deposit on my other puppy. The day before I was to bring the puppy home I called the breeder to inquire about some questions related to food and to confirm the time I could pick her up. The breeder acted very distant and funny initially saying that she was keeping the puppies a little longer before coming home. Upon further questioning the breeder admitted that the litter of 4 puppies had all gotten Parvo and one had died. She said mine was still alive and she was trying to save them. I tried to call her several times to check on the puppy but again the breeder was avoiding my calls. My kids were upset not knowing what was going on. That Saturday I contacted Steffy to inquire about Parvo in the puppies because everything I was reading said that even if they survive they can have their overall health compromised. She discussed her philosophy of not allowing visitors to her home because of the risk for Parvo. She also discussed keeping the puppies until 11 or 12 weeks for extra socialization and to alleviate some of the risk for Parvo. Everything she discussed made sense especially with my experience of knowing the breeder here was allowing lots of people into her home to look at puppies. The next day I contacted the breeder again in the afternoon and she stated that my puppy had died during the night. She hung up without discussing what happened next. I immediately contacted Steffy and after a discussion I made the decision to adopt one of her puppies a little tiny Shorkie with the name “Little Bit”. She was very tiny so Steffy was keeping her an extra month so she could be safe to fly. I was a little hesitant to send money to someone I had never met but something about Steffy made me feel comfortable. A couple days later the breeder called saying she would find another puppy but I told her I had found one already. Our baby Snookie (Little Bit) flew into our airport the day before mother’s day and was everything that Steffy had described including her big personality in an extremely tiny package. We absolutely love her and I think Steffy’s methods related to not having people come to her home and keeping the puppies make a huge difference in her puppies’ personalities. She is 5 lbs full grown and we got our 2nd priceless pups Coco in September 2013. Our two babies are a year and a half apart and play with each other all day long. In the future I will settle for nothing but the best when getting a dog. I will be a priceless pup family member forever and will never consider another breeder because I have found the best with the most amazing loving puppies I have ever met. Parvo is still occurring all over the USA is is imparative you understand that puppies being exposed to early is a huge risk.